Korean Dramas have reached the point of international fame; with viewers of different ages and ethnicities around the world tuning in to watch a new (subbed) episode of their favorite drama. Of course over time, stereotypes, patterns and clichés have emerged into the plots – and no matter how ridiculous or overused some of them get, fans still continue to adore them because they are, in an essence, what makes Korean Dramas. When the two main characters finally confess to one another, that scene will usually contain a kiss. But that kiss won’t be romantic. No, their lips will barely be touching; the camera will circle in a 360-degree-slow-motion that lasts a good minute or two, with the girl’s eyes wide open in shock (because of course the guy initiated the kiss in the first place). Nothing says “I love you” better than a barely there kiss. There will always be some kind of love triangle (or love square), where the girl is torn between two guys who reveal they are romantically interested in her. Occasionally it will be the guy caught between two girls; one who is the girl he has always been in love with that never paid attention to him until now, versus the main girl who he finally starts to like. But none the less, there will always be someone else to complicate the romance. The main girl will be a poor character, who lives in a rundown neighborhood in a tiny apartment. She will have several jobs because she is in debt or struggling to pay rent, but is very optimistic and usually very likable. The main guy will be rich in a huge, luxury apartment with an unbelievable view of the city. He has a high position job but he barely works and gets away with it because his family owns the company. He tends to be very arrogant, lazy and conceited. When the two main characters are fighting, the girl will try to leave and the guy will grab her wrist to try and stop her. Sometimes it works and he is able to pull her back into an embrace of some sort, but other times she will forcefully pull her hand away and walk off without looking back. Another example situation is when the girl is on a date with another guy; the main character will coolly walk in, tell the other guy the girl is taken and grab her wrist, dragging her out of the restaurant or cafe. It doesn’t matter that the secondary guy is always there for the girl; that he is there to save her from trouble, lend her money, keep her entertained or be there for her when she is feeling down. It doesn’t matter that he is richer, smarter or nicer than the main guy because the main girl will always choose the “jerk” or “bad guy”. The Confession Kiss is usually not the first time the two main characters kiss. More often than not, the two will have some kind of situation in where they accidentally kiss. Either one of them trips on the other and their lips meet when they fall to the floor, or one will kiss the other to make someone else jealous or keep up a “cover story” that they were indeed dating someone. This is usually the main guy’s mother, since he is the one who is significantly richer than the girl. She will be uptight and snobby, not accepting the fact that her precious son is dating or wants to be married to someone that low in society. She will try to bribe the girl to leave her son with money or cause trouble for the girl to get her to disappear. There will be some trip to the hospital but 90% of the time it’s because a main character fainted from shock or stress, and not because of an actually medical illness. If it is something serious then it will be something deadly like cancer or a fatal heart disease. But they don’t call an ambulance whenever said person gets sick, no usually the guy will carry the girl in his arms, running several blocks, yelling for her to wake up instead of taking a cab. At some point the main girl will get drunk, because she is stressed out about her job or a personal matter. The guy will come to pick her up and she will make random statements and drunken motions which will result in her passing out and the guy having to carry her or drive her home. Occasionally the roles will be reversed and the girl has to take the guy home, and more often than not, the one intoxicated will say some cryptic statement that means they like the other main character. But they are of course only admitting this because they are drunk. It doesn’t matter if you are dirt poor- you will have a brand new, latest edition smartphone that just so happens to be the same one as the other main character. Usually dramas will promote a certain cell phone model, so every character in the drama will have the same type of phone whether it fits their character or not. The guy will usually give the girl a piggyback ride at some point in the drama. Either when the girl is drunk and unable to walk home or when the couple is together and he willingly does this sweet action for her. The guy will make some joke about the girl being “too heavy” (but of course this is never the actual case because the main female character will be unbelievably skinny). Apparently no one in Korea can drive well because there are always one or more tragic car accidents per drama. A) Either one of the main character’s parent (or parents) died in a car accident when they were little. B) They get in a car accident themselves and lost their memory or C) someone close to them like a best friend or a first love was in a car accident and died. Driving rules seem to not apply to the main guy because there will be at least one scene where the guy makes a random U-Turn (but of course coincidentally there will be no other cars around the area for him to hit). They make this type of spontaneous action because they A) receive some urgent call from a family member or loved one or B) realize they have to go back to say something to the main girl before it is too late. One or more character will have bad relations with their parents. Either they abandoned them when they were young, or they disapproved of their career/life choices and cut them off financially (and emotionally). Most of the time this is occurs between the main guy character and his father, because the son does not want to take over the family business. A character decides to move to another country but before they leave, their loved one will go chasing after them, telling them not to leave. This usually lasts for about five minutes of one character running at lightning speed through the airport while the other one causally strolls with their heavy suitcases to their terminal. They either miss each other by a second or the person arrives right on time, finally having caught up with the walking person. If a character studied abroad then they went to America (or more specifically New York). The character will have “great” English abilities making them highly desirable in the work place and automatically makes them that much more attractive to any Korean person. However, when they express these tremendous English skills with a line or two, native speakers will cringe at the accent and wonder how the scriptwriters could get away with adding a foreign line for an actor/actress who doesn’t know said foreign language. The main characters will always have nicknames for one another. If they are made by secondary characters then they are usually endearing and sweet. But if they are nicknames made by the main guy and girl (for each other) then they are “mean”, teasing nicknames towards each other. 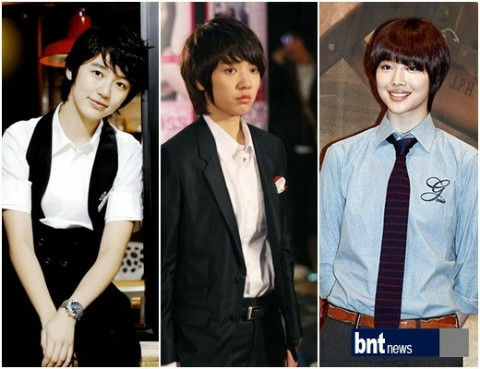 Whenever there is cross-dressing in dramas, it is usually done by the female leads. With a simple short haircut they become a convincing pretty boy (well…some of them…), and use this disguise to obtain a job opportunity they wouldn’t have had if they applied as a female. They spend a majority of their time trying to keep their identity a secret from their co-workers and boss, one of which is always the main male love interest, and by default there are several comedic moments when they were almost discovered. Either from the very beginning, there will be a scene where the two characters are in a common location (before they have even met) and they barely miss each other, someone turning one way at the incorrect time. This also happens when one character is trying to find someone else in the drama. They will look everywhere but from their certain angle they can’t see the person they are looking for but the viewers can. Or when a character ends up eavesdropping on a conversation and hears something they weren’t supposed to hear. There is always that one scene where the main guy is pondering over something important. But of course what better place to think about life choices than in the shower! Foggy shots of the handsome actor with a set of six-packs, with water dripping down his body and he is running his hands through his hair like a model. This trend in Korean dramas is pretty new, but none the less extremely liked by the female audience. It’s not enough to simply turn off your phone, oh no, Koreans find it necessary to take out the cellphone battery whenever they are avoiding someone’s call. Instead of putting their phone on silent or ignoring the calls, they tend to throw their phones to the opposite end of the room, physically separating the battery and cell phone so there is no chance to receive a call. The men in Korean Dramas tend to have certain phobias; weakness to show their “tender” side that they hide behind their arrogant, pretty, rich faces. Whether it is rational or not, the rich male lead will either have a phobia towards heights, germs, crowds, in-closed areas, transportation vehicles (cars) or large bodies of water (pools). The main female will usually help her love interest overcome this fear. Koreans (and most Asians) love their Karaoke. 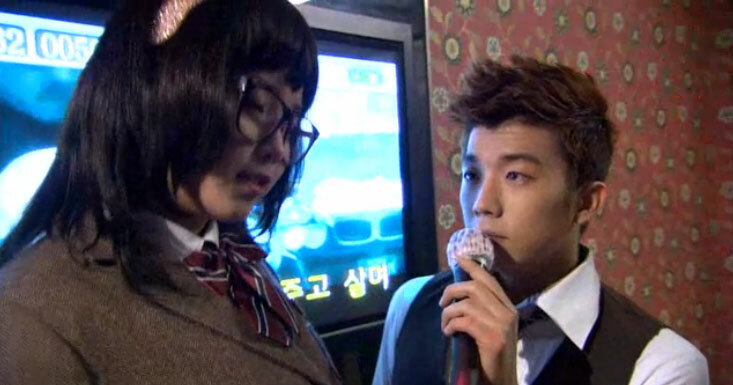 In Korean, the name for Karaoke is “norebang”. Norebang is a must to bring co-workers closer together – for how can you not bond after singing, dancing and drinking into the early mornings? In dramas, this is an opportunity for the comic side characters to bring laughter to the audience with their off-pitch singing and girl group dancing. Also, this is a chance for the male lead to show off his amazing singing abilities and serenade the main girl (though not directly) with a sweet, slow, love song. Koreans have their own type of saunas called “Jjimjilbang”. These bathhouses have hot tubs, showers, ice rooms, massage rooms, exercise rooms, saunas (of course) and many other forms of relaxation for the tired business man or overly active family. In dramas, there is usually a visit to a type of Jjimjibang combined with the orange, blue and pink famous matching clothing, the ‘Princess Lea’ towel buns, and the boiled eggs these scenes always release the tension of the drama and bring a comedic moment. Who wouldn’t want to be in love in Korea? When there is literally couple items for anything you can think of. 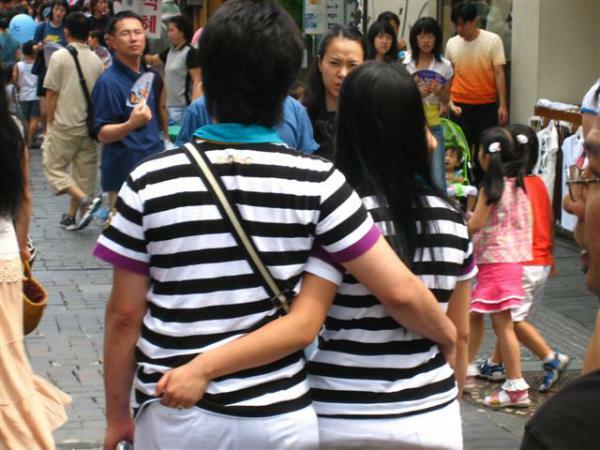 It’s not just matching T-shirts, but full length outfits from head to toe and any other accessory (cellphone charms being the most popular). In the sweet moments of dramas, when the main leads are enjoying the calm before the storm, producers like to include fluffy scenes of the couple getting matching items to show the world their cheesy love. Previous Korean Film “Let Me Out” – We Need to Secure 67 Tickets To Secure Screening! Next “Let Me Out” – Kwon Hyun-sang Movie coming to San Diego -Watch the Trailer now!